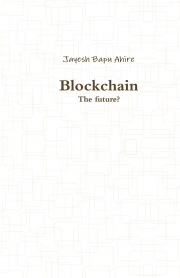 This book has served to first highlight some of the recent innovations in the space of blockchain technologies. It has outlined some important aspects of blockchain architectures and their commonality and distinguishing features from different types of database structures. It has then described a number of features that are vital from a financial application perspective, including permissions, data integrity, data security and data authenticity as well as important regulatory requirements relating to account provisioning for financial asset reporting, and the blockchain aspects that can help adhere to these. Then several innovative new areas of development for second-generation blockchain technologies are detailed, including central bank treasury ledgers, retail and investment bank ledgers, trading, and settlement and clearing processes, finishing with a discussion on multi-signature Escrow services. Jayesh is a self-taught programmer, self-made entrepreneur and well connected professional.